The Zynq is a family of Xilinx FPGAs which incorporate both programmable logic and one or more dedicated ARM Cortex-A9 processors (because of the inclusion of the processor, it can be referred to as a SoC instead of an FPGA). 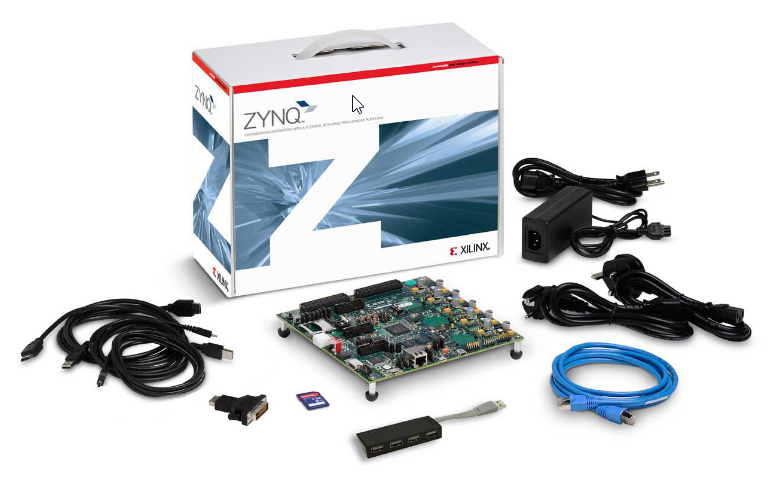 The Xilinx ZC720 Evaluation Kit featuring the Zynq-7000 SoC. PL - Programmable Logic. This refers to the programmable FPGA logic (a.k.a. fabric) inside the Zynq-7000. PS - Processing System. This refers to the Cortex-A9 subsystem inside the Zynq-7000. There are two main variants of the Zynq, the Zynq-7000S, a cheaper cost-optimised FPGA (with one Cortex-A9 processor), and the Zynq-7000, the more powerful and expensive FPGA (with more logic cores and dual Cortex-A9 processors). Microblaze, a soft-core CPU architecture provided by Xilinx, can be run on the programmable logic inside the Zynq, in addition to the dedicated Cortex-A9 processor. The Xilinx Software Development Kit (SDK) can be used to design and debug Zynq FPGAs. meta-xilinx is the Yocto layer provided by Xilinx to build Yocto-based images for the Zynq architecture. In particular, zynq7-base.dtsi located at meta-xilinx/recipes-bsp/device-tree/files/common/ could be of particular interest because it defines hardware such as the ethernet, UART, I2C, CAN, USB, ADC e.t.c.